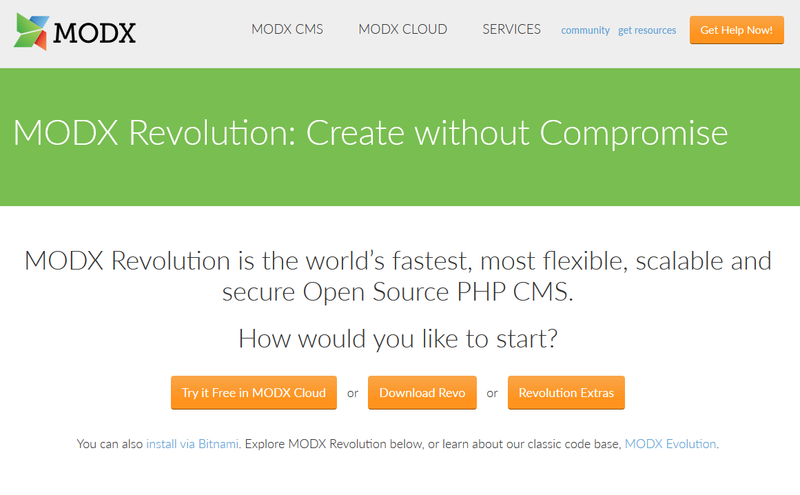 Four or five years ago I built a homepage with MODX, I really liked it and it was easy to use and powerful when scaling an already existing homepage (in html) into a fully customizable CMS. Today I'm still using this CMS for a small webpage, and it still works great. I cannot share the screenshot here, because the page is for internal use only (for a small IT company as a small intranet).